​Juve was born on the island of Sao Miguel, Azores, Portugal. After 32 years in education as a teacher and high school administrator in Winnipeg, Manitoba, he decided it was time to pursue his love of art and photography. 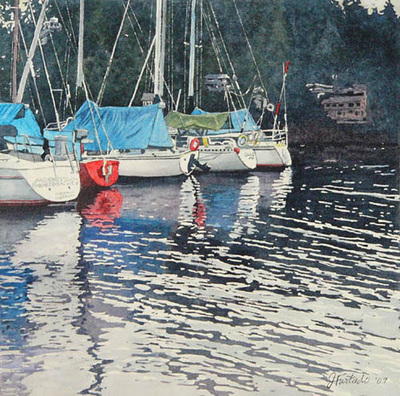 Retiring to Vernon, British Columbia in 2006, he finally found the time he needed to delve into his art. Juve's work reflects nature's seasonal landscapes, rustic scenes and wildlife. 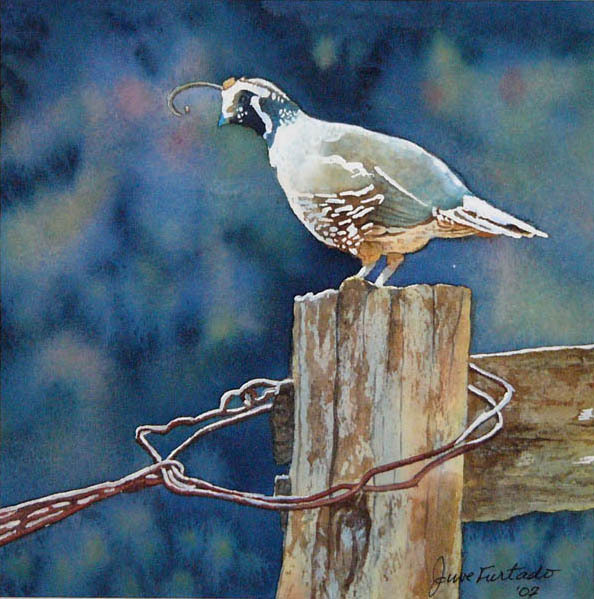 Although his preferred medium is watercolor, he also paints in acrylic. His painting style would be described as realism with strong emphasis on both light and color. Juve is a self taught artist and prefers watercolor for its transparency, spontaneity and unpredictability. 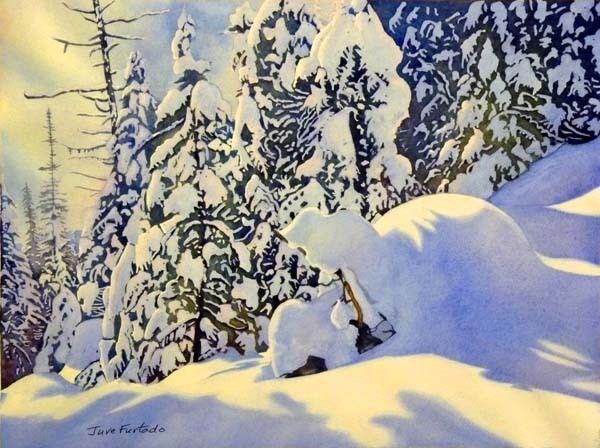 With watercolor, he is able to capture the many wonderful variations of light, color and textures that are found in nature. Always with a camera in hand, he enjoys searching for his next painting while hiking in the Okanagan or traveling abroad. The images he captures become his reference material and inspiration for his paintings. Juve resides in Vernon, British Columbia and is an AFCA member of the North and Central Okanagan Chapters of the Federation of Canadian Artists. His work has been accepted into many FCA jury-ed shows, including Lake Country's Annual Art Walk and the Calgary Stampede Western Showcase. Juve's art is in private collections in Canada, the U.S. and abroad. There are two things that I love to do - photographing inspirational landscapes and wildlife and trying to bring them to life in my paintings. We have all experienced moments when we are captivated by the color of a sunset and how light can transform everything. As an artist, I strive to capture moments like these and enjoy taking the liberty to exaggerate both light and color in my work. I believe that light can be a powerful element in a painting, attracting the viewer and drawing them in. My approach to watercolors involves both direct and indirect painting techniques. They are the yin and yang of watercolor. One is precise and controlled while the other loose and unpredictable. Direct painting involves brushwork and adding fine details needed to complete a painting. Indirect painting is intuitive and is a process that involves the pouring and spattering of paint onto wet paper and allowing the paint to flow and mix freely. Using the pouring technique, I am able to create atmosphere and the illusion of depth in my paintings. Pouring also allows me to “let loose” with color often producing unexpected and surprising results. To me the greatest reward in creating art is to see my work connect and resonate with the viewer in a meaningful way.